The British Southern Whale Fishery databases have been revised and corrected since their first appearance here in mid-2018. The data currently on this site reflects all revisions through the end of 2018. The whaling data presented in these databases was originally extracted by A. G. E. (Joe) Jones (UK) and then compiled and organised by Rhys Richards (NZ) and Dale Chatwin (Australia). Considerable contributions were made by Mark Howard (Australia) and Jane Clayton (UK). For more information see our comprehensive website for the British Southern Whale Fishery at (www.britishwhaling.org). 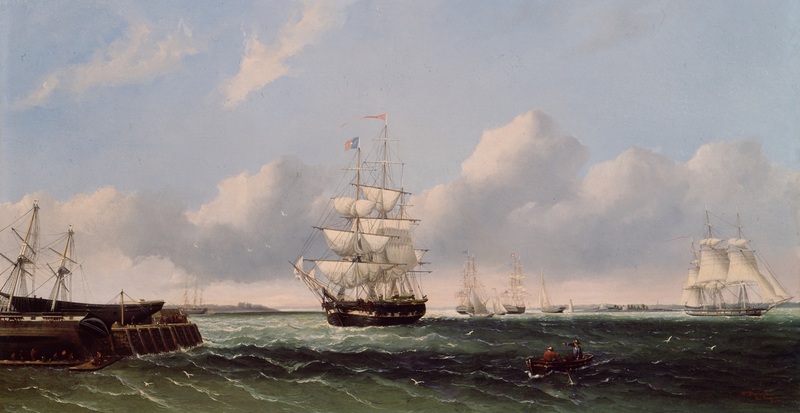 The Voyage and Crew databases are hosted on this Whaling History website in collaboration with Mystic Seaport and the New Bedford Whaling Museum. The authors are most grateful to both museums. Any research use should properly acknowledge the team which extracted and collated the data. Visitors who have facts to add or who discover errors are encouraged to submit them through the BSWF website at www.britishwhaling.org. An earlier version of these databases (no longer available) was hosted by the University of Hull with the support of its Maritime Historical Studies Centre. For 350 years until the early 1960s the British were involved in several types of whaling. This involvement was divided into three distinct trades: the northern whale fishery between 1610 and 1914; the southern whale fishery or ‘south seas trade’ from 1775 to 1859; and the modern whaling trade, from 1904 to 1963. Each of these trades was distinguished by the geographical location in which it was undertaken, the types of whales pursued and to some extent by the methods and techniques used to capture whales. The northern and southern whale fisheries were even differentiated and defined by law. The databases contain Voyage and Crew information for the British Southern Whale Fishery, which operated from 1775 to 1859. The Voyage database, which is primarily the work of A G E (Joe) Jones, documents the events of around 2550 voyages, whaling or sealing, to the south of Britain in over 930 different vessels. The Crew database, which is primarily the work of Dale Chatwin, lists nearly 14,000 entries for men who sailed in the ships in the British Southern Whale Fishery. Information is usually available on the vessel and master, owners, and where the vessel went. Cargo information is available for around 60% of voyages. Crew information usually includes at least surname, role and place of birth. Unlike the American whaling trade, sources for the British Southern Whale Fishery are “scrappy and scattered” which is why these databases are so valuable.